Next year, Indonesia will experiences the solar eclipse on March 9 even though only some part of the country will experience the totality. It is a great opportunity for Indonesia, as the only land base observation. Well, if someone wants to try the Woleai atoll then there is another land base from Micronesia to view the totality. As a tropical country, the weather will be the main concern. 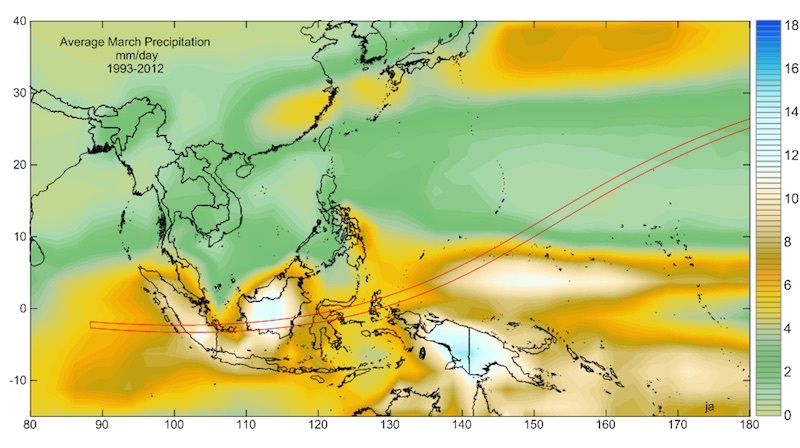 According to the weather prospects made by Jay Anderson in his website, the main concern for TSE 2016 climate in Indonesia will be the cloud cover and wet seasons in several area. This March eclipse begins in the equatorial Indian Ocean west of Sumatera (Sumatra) and arcs northward to a sunset end in the high tropical latitudes north of Hawaii. In March, Sumatera, and Borneo is in the peak of rainy monsoon season while in Ternate, wet and dry seasons are difficult to discern, but the important distinction is that March comes with only half the precipitation of the more westerly islands. The highest cloud cover will be in Sumatera and Borneo while North Maluku will have less cloud cover. 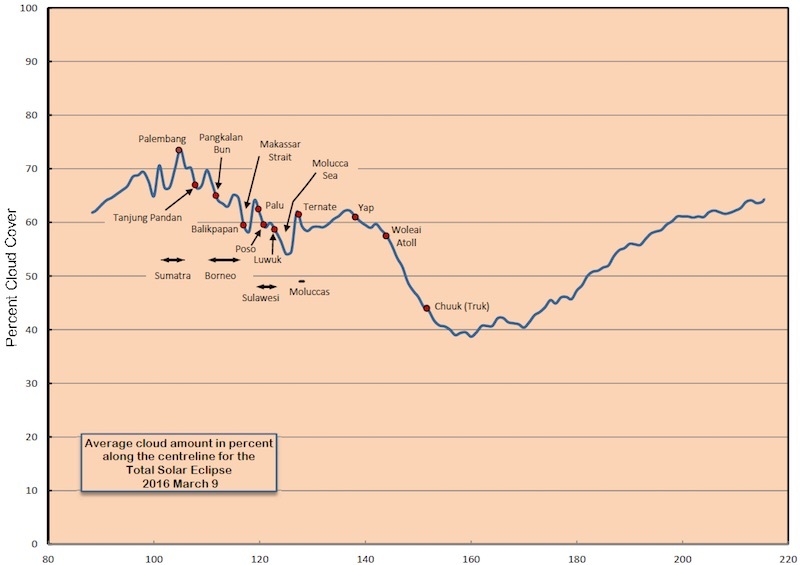 By the time of eclipse, the mean cloud amounts at eclipse time ranging from mid-80 percent in Sumatera to mid-60 percent over the Maluku Islands. Satellite measurements of cloud cover are less distinct, with mean cloud amounts ranging from 75 percent in Sumatera to about 60 percent in the Malukus, save for a drop below 55 percent over the Molucca Sea. Ship-based observers will definitely have an advantage in this eclipse, giving them access to the lowest cloud amounts and a mobile platform to seek out better skies on eclipse day. 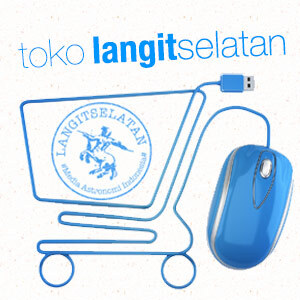 For the best viewing site from land, the best prospects so far are Bangka, Belitung, and Ternate. From a meteorological perspective, the areas to be avoided are western Sumatera and the interiors of Kalimantan, and Sulawesi. Aside than the weather, to those who wants to observe in Ternate, another concern will be Gamalama mountains, an active volcanoes which regularly erupt every few years.